Note: This post has been revised by the author. By the middle 1980s, the preservation of historically and architecturally significant buildings had become the subject of growing attention in Springfield. This attention reflected national trends, as well as regret over the loss in the past two decades of several distinguished buildings. In response, a group of local residents formed a citywide preservation advocacy group. The story of the Historic Preservation Association of Springfield, which formed in 1985 and ceased functioning in 2002, illuminates the opportunities, constraints and issues associated with efforts to enhance the role of historic preservation in Springfield. Prior to the late 1980s, preservation efforts were generally confined to publicizing historic buildings. In 1980, the City Council established the Springfield Historic Sites Registry and set criteria for inclusion on it. By 1982, 79 historic properties had been identified by the city’s Historic Sites Commission. Its 15 members were appointed by the mayor, had three-year renewable terms, and represented a variety of relevant experiences. Some of the properties were on the National Register, and some were state-, federal- and city-owned buildings, such as the Lincoln Home, the Executive Mansion and buildings on the Illinois State Fairgrounds. On the list were buildings used for residential, commercial, industrial, religious and other purposes. Nothing about these lists required property maintenance or prohibited demolition; for the owners, listing was intended to confer recognition and prestige, and for some, to qualify them for tax and other financial breaks – thus, a potential incentive for preservation. However, going beyond mere recognition was the power given the commission in 1988 by the City Council to recommend that the City Council “landmark ” historically and architecturally notable buildings. The amendment allowed either the commission or the owner to seek landmark status. Landmarking limits the ability of owners of qualifying structures to make exterior alterations and to pursue demolition without commission concurrence. Leading the effort for the adoption of this amendment was architect Enrique Unanue, commission chairman from 1986 to 1994. Many of those who formed the Historic Preservation Association of Springfield were active in two not-for-profit preservation corporations that purchased, rehabilitated and rented space in Lincoln-era properties. Springfield Preservation Limited saved and adeptly modified for small office purposes three unoccupied and deteriorating workingmen’s cottages along the 300 block of West Cook Street. They became known as German Settlers Row. The other corporation–Settlers Row Limited–rehabilitated two houses saved from demolition by being moved to the corner of Cook and College streets. These corporations functioned between 1986 and 1998. Attorney Richard Hart served as president of both. To get the Historic Preservation Association of Springfield under way, a newsletter was developed, paying members were recruited, purposes and activities identified, speakers lined up for annual and other meetings, officers and board members appointed and links with affinity groups developed. Over the years, membership ranged from about 70 to about 120. Richard Hart and archaeologist Jerome Jacobson were among the original board members and became over the years prominent preservationists. Jacobson’s approach subjected him to criticisms and occasional mockery and led to conflicts. Over the long run, however, preservation has taken a stronger hold in Springfield because of his effort to bring preservation concerns to the attention of the public and city government. However, the Historic Preservation Association of Springfield was far from a one-man operation. Others made significant contributions, including, of course, the later presidents: neighborhood activist Terri Cameron, educator David Scott, architect Joe Craig, interior designer Judith Pensoneau-Feurer, architect David Parker and American history professor William Siles. Some three dozen people served on the HPAS board during its existence. An early and continuing interest of the HPAS was to identify, do research on, and periodically publicize Lincoln-era structures, that is, those that had been standing in 1861, the year Lincoln left Springfield to assume the presidency. In its spring 1999 newsletter, the Association presented its last count of such structures. There were 110 in contrast to the 130 standing in 1993. Those razed were mostly small residences, many in poor condition in east and north side neighborhoods, including those in the expanding north-end medical complex area. The association gave some attention to saving such places in that area, but never developed a plan identifying those most worthy and having the greatest likelihood of preservation. With the authorizing of the landmarking ordinance in 1988, the activities that characterized the work of the association intensified. They included leaders testifying before public bodies and encouraging members to write letters to the editor and attend and speak at City Council meetings. The association surveyed the attitudes of City Council candidates on preservation issues and, by publicizing the result, hoped to generated support among the public and favorable actions from the City Council. The HPAS also gathered information on places it considered worthy of preservation and recognition and on identifying ways to forestall demolition. 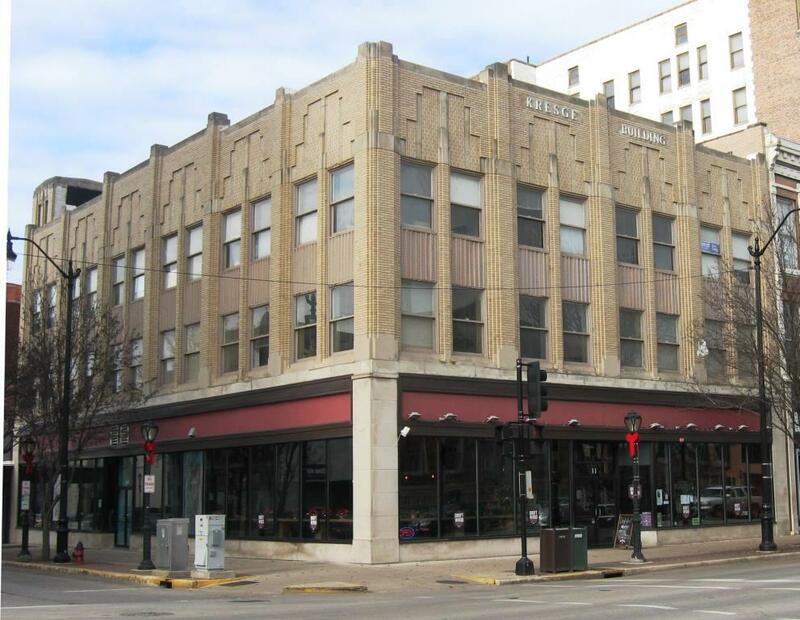 There was the occasional use of the tactic of “embarrassment.” Jacobson was involved with convincing the Landmarks Preservation Council of Illinois to not hold meetings in Springfield until it became more preservation-friendly. There was considerable overlap between the association’s work and that of the Springfield Historic Sites Commission, as indicated by the following list of the commission’s official functions: identify, recognize, preserve and restore the city’s historic sites by public education, granting recognition and awards, sponsoring surveys, placing markers, and recommending landmarking. There were many instances of considerable cooperation between the two entities, although at times it was the association that did the initiating and the commission that did the responding. Although commission chairman Enrique Unanue was dedicated to preservation, Unanue took a more cautious approach due to style and his holding an appointed public position in comparison with Jerry Jacobson. Both the association and the commission supported the 1988 amendment to the Historic Sites Ordinance that authorized landmarking, a process to recognize and preserve buildings and areas in the city with significant architectural or historical importance or both. For landmarked structures, the ordinance set forth criteria to be used by the commission to evaluate the appropriateness of proposed alterations and to determine whether unreasonable economic hardship would result from not permitting demolition. The idea of landmarking is to reconcile an owner’s concern with the cost potentially associated with landmarking and with the community interest in preserving the best of the past. For the owner, there is prestige and recognition. The commission published a brochure on landmarking in 1991 that included a list of available financial benefits. In the meantime, the association was gathering information on structures to use in landmarking applications. The two groups also jointly sponsored an annual preservation recognition event and an annual calendar. Introduced in 1992, the calendar contained a drawing of a historic structure for each month. Published for ten years, it amounted to a comprehensive guide of older significant structures. The calendar was sold widely and provided, along with membership dues, several thousand dollars in annual income for the association. The major annual expenditures were the newsletter, along with fees to consultants to prepare surveys of Lincoln-era structures, and to lawyers to represent the association’s position on disputed matters. The association conducted surveys of the attitude of City Council candidates three times: in 1987, 1991 and 1995. In the 1987 survey of the 21 candidates responding, 20 thought preservation is “very important.” This level of support lined up with that of the general public in other surveys. Also, 20 agreed that the city should take a leadership role in promoting preservation. Going beyond general support were other responses: 15 agreed strongly and five agreed somewhat that the city should seek and authorize financial incentives. Despite these expressions of support for financial incentives, it took until 1994 before such a policy was adopted by the city. Beginning in 1988, the landmarking amendment provided that if the Historic Sites Commission determined that a structure met historical and architectural criteria for landmarking, its recommendation for landmarking went to the City Council. Getting City Council approval has not been difficult if the owner did not object, thus accepting the restrictions involved. However, owner support was not required for City Council approval. Thus a proposal advanced by the association and adopted by the commission could be approved by the City Council over an owner’s objection. This possibility generated conflicts between owners and the preservationists, as objecting owners appealed to the Council to deny the commission’s recommendation. Among proposals for landmarking objected to by the owners were those for the Burkhardt House, 522 Forrest Ave., and the Bunn Warehouse at 10th and Adams streets, just east of downtown and associated with a prominent Springfield family. These were the well-publicized controversies of the early 1990s. The Burkhardt House was the only property ever landmarked over owner objections. But that decision was quickly reversed by the City Council on the grounds that landmarking would create, in the words of the ordinance and as argued by the owners, an “unreasonable economic hardship” and thus constituted a ‘taking” of property prohibited by the U.S. Constitution. The owners then proceeded to demolish the house, as had the owners of the warehouse. It is these provisions—economic hardship and taking— that illuminate a gap between the widespread general support for preservation and a specific issue associated with it. When asked in the association’s 1995 City Council candidate survey whether historic buildings should be preserved unless the owner can proves an “unreasonable economic hardship,” there were four yes and two no votes, but mostly versions of “it depends” or ”need more information.” As the City Council wanted to avoid making difficult judgments on an owner’s financial situation, the operating policy was: “we’ll take the owner’s word for it.” However, it took until the controversies of the middle 1990s for the City Council to finally require owner approval for the landmarking process to move forward. Another gap between attitude and action is the response to association proposals for a demolition delay ordinance. In the 1991 survey of City Council candidates, 8 of 11 council winners favored a waiting period between applications for and the issuance of a building demolition permit to allow time for the Historic Sites Commission to determine if the property warranted consideration for landmarking (HPAS Newsletter, May, 1991). Although many attempts were made, neither the association nor the commission was ever able to convince the council to pass such an ordinance during the entire existence of the association. However, the association was finding that governments were more receptive to preservation proposals than were many private owners. In 1991, the city agreed with Jerry Jacobson that the facade of the police station should be preserved (although years later it was demolished). During the middle 1990s, Terri Cameron convinced Gov. 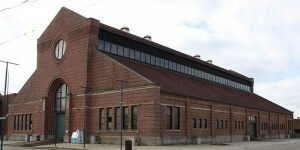 Jim Edgar’s administration that Barn 13 on the State Fairgrounds merited restoration rather than demolition. David Scott, the association’s liaison with Capitol complex planning groups, supported preservation of the unoccupied neoclassic Waterways Building and the Power Plant, both just north of the State House. In 1989, the state finally allocated funds to convert the Waterways Building into quarters for the Fourth District Appellate Court, and the state continued to use the Power Plant building. In the middle 1990s, more historic sites were the subject of considerable controversy and thus considerable publicity. Together they led to changes in the Historic Sites Ordinance and reshaped the character of the Historic Preservation Association of Springfield. They also highlighted some issues that had been around for a while. In the spring of 1994, the association heard that Sacred Heart-Griffin High School, 1200 W. Washington St., had definite plans to tear down its bell tower and chapel, of late 19th-century Italianate design, to make room for expansion of its classroom facilities. Discussion revolved around why the association had not tried to landmark the structure before; after all, the Chapel was placed on the 1982 Registry and received the highest ranking, and the association was aware of such recognition. The association’s response as presented by its president, Terri Cameron, was that, as a volunteer group, the association wasn’t able to keep track of the plans of the owners of all the property in the Register. This point led to some discussion of the city hiring a full-time preservation expert who could do so. Despite criticism of acting “at the last minute,” the association proceeded to submit an application for landmarking the chapel and bell tower to the commission, which held hearings and then voted to approve it. There was no such support from the City Council, which overwhelmingly voted “no”; the only “yes” vote was that of Mayor Ossie Langfelder, who strongly supported the work and decisions of his commission. Such criticisms haunted the efforts of preservationists as they faced opposition. It was less difficult to respond to the issue of property rights than it was to the charge that preservationists did not try to develop financial resources (such as a revolving loan fund), although they did have a track record of making efforts to find buyers who would preserve historic structures. Regarding property rights, preservationists made the analogy with zoning, which does put some restraint on the liberty of property owners, and they made the point that individual rights should be balanced with important community concerns. Although there was no follow-up to the proposal for the city to hire a preservation expert, the City Council responded to the call for financial incentives and authorized three—two having to do with reductions in property taxes and the other rebating city sale taxes on material used in a restoration project. 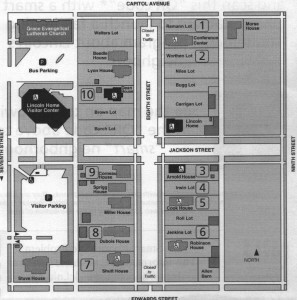 A big preservation issue of 1996 was what to do with the “K-Mart” group of buildings on the west side of the Old Capitol Square. Unused for several decades, the buildings were slowly deteriorating and an eyesore. They were representative of the increase in available space as retail operations left downtown and of the subsequent search for alternative uses. These have included the conversion to residential and small business use, which preserves buildings, as well as to surface parking lots, which destroys them. Both the city and the owners were interested in demolition. The city saw the K-Mart complex as a danger to public safety. The owners believed rehabilitation would be too expensive. While the association was well aware of the building’s deteriorating condition, as was the case in other preservation efforts, it took the threat of demolition to generate action. Thus, the HPAS entered the fray with supportive statements reported in the media and by collecting information for inclusion in the landmarking process. The credibility of the association was compromised by misstatements as to Lincoln connections with one of the buildings in the complex. The State Journal-Register again opposed landmarking because “…we are opposed to certain groups arbitrarily imposing their personal whims on the rights of individual property owners….” (June 9, 1996). The Historic Sites Commission nonetheless recommended landmarking. Action on the K-Mart landmarking was delayed by the City Council as it considered revising the historic preservation ordinance to remove the power of the commission to recommend landmarking without first getting the owner’s approval. Preservationists argued in testimony before the City Council that only with the power to go against owner opposition could there be a public forum for weighing the historic value of a building and the financial feasibility of its preservation. Additional pressure for the amendment came from the Springfield Art Association, which opposed landmarking the Ferguson Mansion, a property the Arts Association owned next to its home, Edwards Place. The association argued that it could not afford needed major rehabilitations of the house. Demolishing it or someone moving it were the only options acceptable to the Arts Associations The commission, the near north side Enos Park Neighborhood Association, and other preservationists continued to work for saving the mansion, but it felt to the wrecking ball in 1977 . The HPAS bowed out of the controversy in mid-1996 as discussed in the next section. Ossie Langfelder’s second term as mayor ended in 1995 with the election of Karen Hasara, who served two terms, being reelected in 1999. In early 1996, she appointed Ronald Ladley to the Commission; he later became chairman. That she wanted a less active tone from the Commission was indicated in his statement to the newspaper: “There probably have been some radical people on that commission in the past that have created a lot of problems” by wanting to save virtually every old building. Ladley said the mayor wanted to bring back some balance (State Journal-Register, February 22, 1996). To implement this purpose, when the three-year terms of five members expired in 1997, rather than follow the usual approach of reappointment, none was retained, and Hasara brought in new people. The association also changed in the wake of these controversies and defeats in the City Council. Association leaders in 1996 decided it was time to formally reassess its involvement in controversies, a matter of growing concern for several years. In response to evidence that a high-profile, intense, and confrontational style was more a hindrance than an aid to the cause, Jerry Jacobson was not given another term on the board. It was decided to begin a year of strategic planning and thus non-involvement in current preservation matters. The association did not become one of the parties that negotiated the ultimate preservation and rehabilitation of the K-Mart Complex. A key actor here was architect Michael Dunbar, the sites commission chairman from 1994 to 1997. These changes caught the attention of the press, and an interview with co-presidents Terri Cameron and David Scott appeared on page one of the State Journal-Register on July, 22, 1996, with the headline “Historic decision: Preservation group opts for cooperation over confrontation.” The writer of the article stated that, while the association “has helped preserve buildings under other circumstances, every time forced landmarking has been tried, the buildings have ultimately been demolished.” A variety of approaches was suggested by the two in the interview, and options cited in this newspaper article were considered subsequently as the association turned to planning for a while. William Crook Jr. set out a contrasting view of Jacobson’s activities in a letter responding to the State Journal-Register editorial, the gist of which was that the “quiet negotiating style of Michael Dunbar works while the confrontational style of Jerry Jacobson does not.” Crook considered it unfair that the editorial gave so much attention to the point summarized in the editorial that “11 years of such battling never saved a single building and may have actually hastened the demise of a few.” To be fair the headline should have read, according to Crook: “Tireless preservation activist paves the way for second generation success stories.” He went on: “Of course, preservation comes down to money, but in the area of vision and public education, Jacobson is a winner” State Journal-Register (date unavailable). Meanwhile, Jacobson formed his own association, called Save Old Springfield. He stated in a Sept. 26, 1996, news release that SOS would pick up where the HPAS left off and would take an activist stance in the preservation movement. SOS continued to function long after the HPAS became inactive in 2002, but remained as it started, essentially a one-man operation. Developing new emphases became the basis for the association’s commitment to devote a year to strategy planning—that is, framing a statement of priorities to shape future activities. Aiding in this process were consultants from the Department of Management at the University of Illinois Springfield who sent questionnaires to 28 former board members, seven current members, and all in the general membership; they also conducted interviews with 15 community leaders. It was clear to board members involved in the assessment of the HPAS activities that the board’s structure and process was inadequate to carry out its activities. Recognition of inadequacies was particularly prevalent among former board members. Thus the board turned to considering organizational development, the most notable effort being the employment of a short term part-time administrative assistant. The board considered ways to confront the difficult task of improving its image and raising public awareness of and support for preservation issues and opportunities. 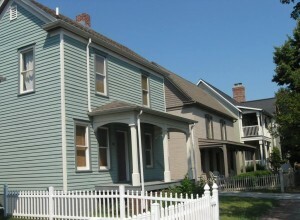 Although the HPAS had some previous involvement with entities other than the Historic Sites Commission, notably with the Enos Park Neighborhood Improvement Association, the Historic Preservation Association decided during its planning year to put emphasis on involving people from neighborhood associations north, west and south of downtown as well as the central-city-oriented Downtown Springfield Inc. The expectation was that such cooperative arrangements would yield some preservation benefits. These groups, of course, already had a preservation mission. While education has often been cited as a purpose of the association, little specifically had been done until the development of the brochure “Springfield Historic Sites Walking Tours,” a cooperative effort of the commission and the HPAS. It was initiated and developed by David Scott when he was the association’s representative on the commission. Five thousand copies were distributed in 1998. Its purpose was to spread knowledge of older areas and their architectural and historically significant places to tourists, residents of Springfield, and school children. To reach students, copies were sent to elementary school principals. An education committee was formed, but it was clear that there were severe limitations to gaining access to the school curriculum. Both prior to and after the year of planning, there were many discussions of the feasibility of the association establishing a fund-raising capability, specifically for a revolving loan fund, that would provide financial help to preservation projects; association members had long realized that increased financial resources were crucial to overall preservation success. But the association had limited its activities to suggesting other entities that might provide such resources. The revised mission statement has as one of its three goals to acquire assets to provide financial incentive and assistance. Still the necessary leadership did not emerge among board members. They were, after all, volunteers who had full-time jobs, other commitments, and limited fund-raising experience, and no one came forward willing to get into such a demanding and time-consuming endeavor. The major single focus of the Association in its later years was the moving and preservation of the Condell House, 605 S. Fourth St. Playing a central role in working with the owners and potential buyers was association president Judith Pensoneau-Feurer. It became a showcase of the work the association was doing through cooperative actions leading to the preservation of a structure. It is a Lincoln-era structure, built in 1842. There had not been changes incompatible with its original Greek Revival design. Unoccupied since 1985 and experiencing some deteriation, it was formerly the home of leading Springfield families. It had a favorable location just west of the Executive Mansion. The owners were willing to donate it to any individual or group willing to move it to a new location. 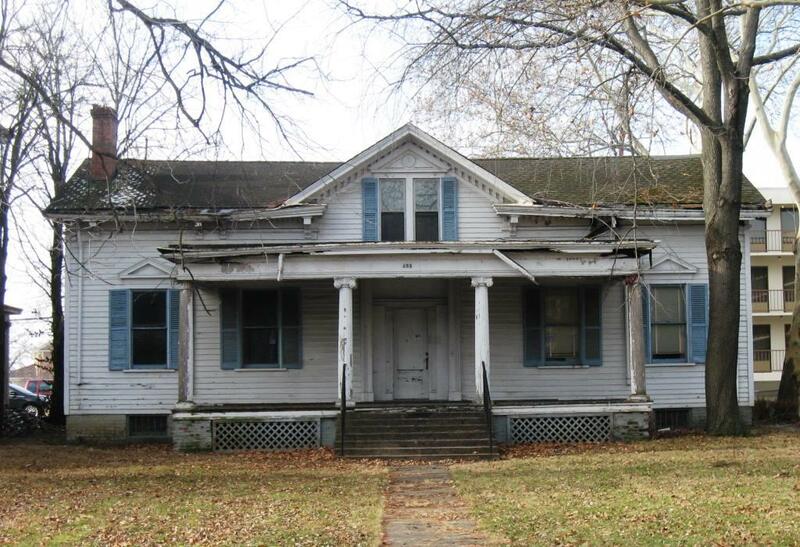 The association in an effort to gains visibility, status and interest buyers tried twice – in 1998 and 2000 – to get Preservation Illinois to put the Condell House on its annual list of the 10 most endangered buildings in the state. These efforts were unsuccessful. Nor was there success in finding a groups or individual willing to pay the cost of moving the house. The story might have been quite different if the owner had not insisted that the buyer move the house. The 2001 and 2002 issues of the association’s newsletter were “the handwriting on the wall” forecasting the dissolution of the association. There were few association activities to report on; the newsletter was devoted mostly to the preservation activities of others and preservation issues in general. The association became inactive in 2002. 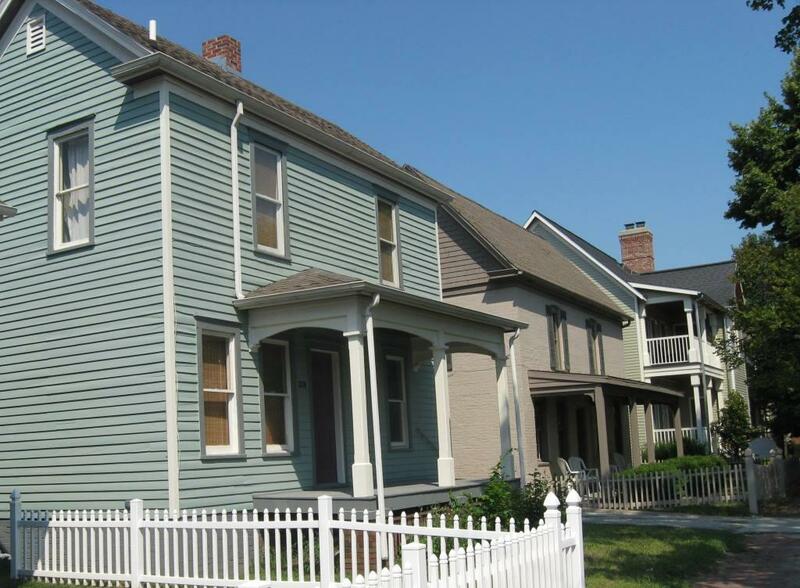 Continuing beyond the existence of the Historic Preservation Association of Springfield were efforts by neighborhood and other groups cited above that have an interest in recognizing and preserving historically and architecturally significant structures. The association’s several thousands of dollars in assets was given to the Historic Preservation Fund of the Community Foundation for the Land of Lincoln, an established large-scale philanthropic organization, a much better entity for finding resources for preservation than the association ever could be. In its 17 years of existence, the association was extensively involved in making a record that illuminates the opportunities and constraints associated with efforts to enhance the importance of historic preservation in Springfield. Author: David Scott is a former president and board member of the Sangamon County Historical Society, a former president of the Historic Preservation Association of Springfield, a former member of the Springfield Historic Sites Commission, and a board member and president of the Illinois State Historical Society. This entry was posted in Architecture, Historic Sites, Local government, National Register, Springfield. Bookmark the permalink. Excellent summary of a very important Springfield preservation agency. Well done! Ms. Izzo: Thanks for reading. David Scott, who wrote the entry, has decades of involvement in local historic preservation, and it shows. Jerry Jacobson, mentioned in the entry above, has provided his biography to SangamonLink. Here is an edited version. Jerry Jacobson is a historic preservationist in Springfield and Sangamon County, having served on the Springfield Historic Sites Commission as commissioner and volunteer consultant and the Sangamon County Historic Preservation Commission. His letter to the county board chairman in 1993 was instrumental in the formation of the county commission. As a member of that commission, he initiated and managed a search for early farmhouses in the county that resulted in the re-discovery of the county’s oldest house, a log cabin built in 1823 and still standing in Gardner Township. As a consultant to the Springfield commission, he initiated three ordinances ultimately approved by the Springfield city council; they involved demolition delays for properties eligible for landmarking, the addition of archaeology as a preservation category, and full commission review of landmark demolitions. The commission also agreed with Jacobson to recommend that city landmarks be recorded by the county; as a result, a landmarking designation now goes with the property title. Jacobson has received lifetime achievement awards from the Springfield commission and Downtown Springfield, Inc. Since 1995, he has been director and spokesman for his one-man organization, Save Old Springfield. Jacobson co-founded the Historic Preservation Association in 1985; it was active for ten years, with Jacobson as its chair for many of those. The organization worked to help save such endangered Springfield buildings as Barn 9 at the State Fairgrounds; the building on Monroe that now houses the State Appellate Court; and the nearby former powerhouse building, now a state office facility. The HPA also tried to preserve the Ferguson Mansion on North Fifth (which ultimately was demolished). Soon after he arrived in Springfield in 1980, Jacobson called for volunteers to search the city for buildings that remained from Abraham Lincoln’s residence. Today, about 100 Lincoln-era buildings initially identified by the volunteers still stand, protected by ordinance from instant destruction. In 2003, when one of those, the John Taylor House on 12th Street, was about to be demolished, Jacobson acquired and stabilized the house; in 2014, he and his wife, Doranne Jacobson, donated it to The Springfield Project, which as of 2016 was restoring the 1857 building. After service with the Illinois State Museum Society as an archaeological administrator, Jacobson in 1984 joined the Illinois Department of Transportation as coordinator of projects involving historic properties. Among other accomplishments, he led development of IDOT’s compilation of historic bridges and won a federal grant for IDOT funding a program that still protects the state’s five remaining historic covered bridges.